From the designer of the Miranda Hat comes the Beth Hat. 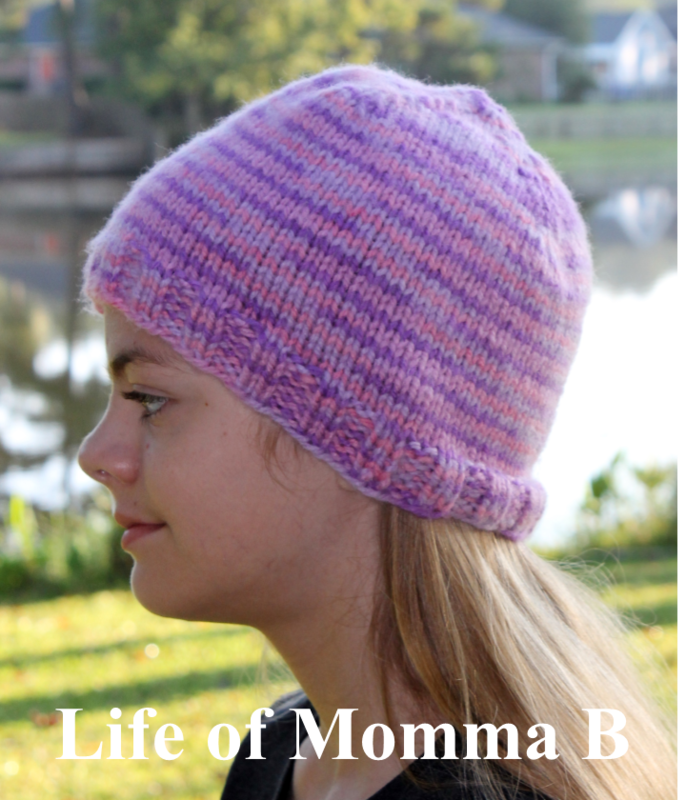 The original pattern for this hat is very much like the Easy Charity Hat that I shared yesterday. This hat was a quick knit using some more of the bulky yarn I had left over from the blanket I knitted for Lily. However, I did make some changes to the pattern. First I used size 8 needles since I do not own a size 9 dpn that they recommended. I only placed a one inch rib band on the bottom. This was the result of watching TV while knitting. I guess I was paying more attention to the show than to the hat, but it still worked out. After completing the Easy Charity Hat, I decided to only knit 5.5 inches before beginning the decrease. This was just a matter of personal preference, since the Easy Charity Hat seemed a little tall for my taste. This hat will be added to the box of other hats headed to Kenya. I sure hope some little girl will enjoy it as much as I have enjoyed knitting it. You can find the free pattern here is you would like to make one. This entry was posted in Knitting and tagged charity, Craft Hope, free pattern, hat. Bookmark the permalink.